Buyer applies to the U.S. Army Corps of Engineers for a permit to purchase credits. A wetland scientist or other qualified consultant can assist in determining the number of credits needed, and filling out the application. Depending on the size and scope of the impact, this can be relatively easy, or may require extra documentation of the plan which can be done by your consultant. The assessment method to use is the Montana Wetland Assessment Method, 1999 version. The Corps will review the application and either issue a permit for the number of credits required, or make recommendations for changes. The permit is the go-ahead to purchase the credits. Valencia Wetlands Trust has a fill-in-the-blank contract that can be executed via email in a single day. Funds are wired to our escrow agency. Upon receipt of funds, Valencia will provide a receipt for buyer to submit to the Corps of Engineers as evidence that the obligation is fulfilled. Western Montana may purchase credits from Valencia Wetland Trust on a case by case situation, contact the U.S. Army Corps of Engineers for ratios. The bank site: the physical acreage restored, established, enhanced, or preserved. The Banking Instrument describes the work to be done and the assessment method to be used to add certified credits to the bank. 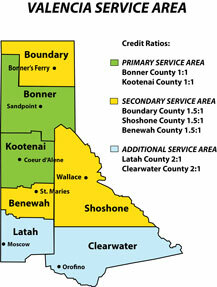 The Corps of Engineers tracks the available credits at each bank through their RIBITS website, which can be found here. Valencia Wetlands Trust is based on the Montana Wetland Assessment Method, 1999 version. This is a functional unit based method that measures twelve different values being credited. There is no requirement for "in-kind" mitigation, as long as the functions being impacted are included at the site. Mitigation banks are authorized by the Federal Government to assume the legal liability from the permit holder for the long term success of the mitigation. Once credits are purchased, the legal responsibilities lie with the bank. This transfer of liability is a very attractive feature for Section 404 permit holders, who would otherwise be responsible for the design, construction, monitoring, ecological success, and long-term protection of the site. Mitigation sites must be monitored annually by qualified wetland scientists for a minimum of five years, and as much as ten years. Financial guarantees are required, and reserve accounts must be created and be made available in case of failures. Wetland banks do all of this for you. 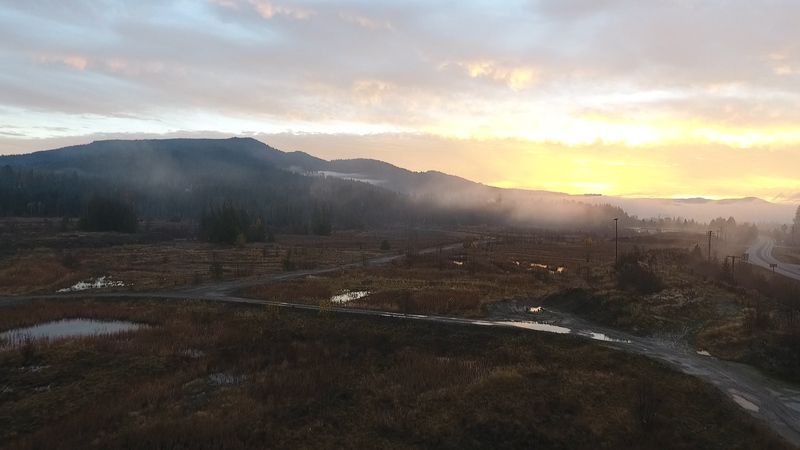 Valencia Wetland Bank is governed by an inter-agency Review Team which consists of: The U.S. Army Corps of Engineers, EPA, Idaho Fish and Game, and Idaho Dept. of Environmental quality. These agencies conduct regular inspections to insure that the quality and sustainability of the replacement wetlands we provide to clients is above reproach. Valencia is certified to assume the legal responsibility for wetland mitigation for permitted impacts. The Army Corps of Engineers has an established procedure for issuing permits to buy wetland credits from Valencia Wetland Bank. The use of wetland banks expedites permit and review processing. All of these benefits results in lower cost to clients and taxpayers.